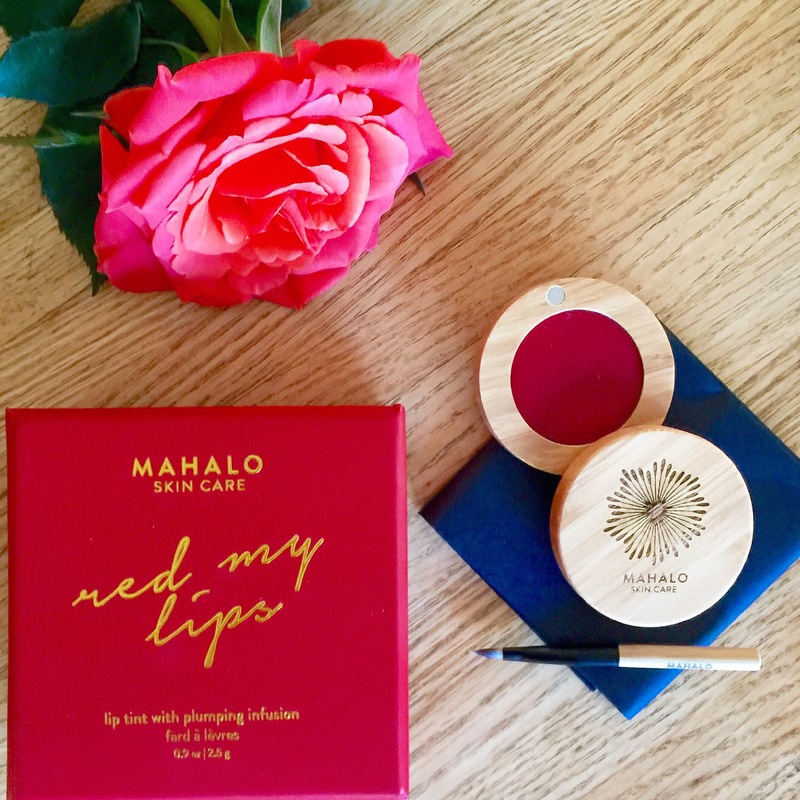 I love when a brand gives back to worthy causes like Mahalo is doing with their newest addition ‘Red My Lip Tint‘. The idea is inspired by RedMyLips.Org (an international organization dedicated to combatting sexual violence and victim-blaming). Mahalo Care is generously donating 20% of their profit on this product to support this extremely important cause. This campaign runs worldwide for the entire month of April. I have to say, this lip tint is extraordinary. It’s the perfect timeless statement red lip color. A little goes a long way. The adorable vegan brush delivers the perfect amount of product. Red My Lip Tint is housed in their signature handmade bamboo case with a mirror and the option to buy refills! APPLICATION: best when applied using lip brush. Strong color, with a little going a long way. Matte, on a drier side, offering a long-lasting wear. Gentle tingling from the plumping infusion of collagen amino acids is expected upon application. COLOR: a perfectly balanced red, with notes of orange and pink, to complement all skin notes. I hate applying lip products with a brush, but man, that packaging and that color!